Home » Web Design » Handling comments ; what should blogger beta do? Handling comments ; what should blogger beta do? 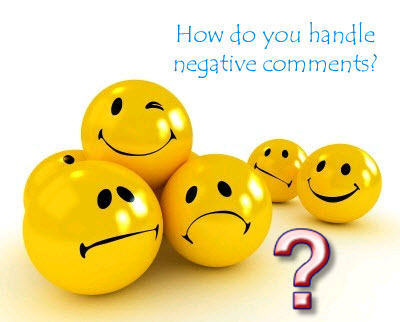 Comments play important role in blogging. Comments motivate the author for writing more articles . If an article gets more number of quality comments it would be attracted by visitors. But I think Blogger.com , the leading blogging platform , does not give more importance on handling comments. Here are some fields on which they should concentrate to give good blogging experience for blog writes. 1. Comment posting field inside the post instead of opening a pop up window or in a external page. 2. Trackback comments option so that one will be notified when some replies to his comments. 4. Profile photo inside comments. 5. Two comments should be separated by different background colors. Haloscan.com provides plugin to fulfill first 3 requirements, but it is not worthy for a older blog writer because it deletes previous comments. Hacks are available for rest 2 queries. that's a very good post article,as in blogging article complete how to handle comment that is unique ,trackback comment option so one should be notify when someone replies to comment.